Thought there are diverse pets in our lives, dogs are most popular. Those lovable furry creatures make our lives so full of fun and fur. They are so dear to our hearts, although only with us a short amount of time. Today, funny dog photo is another way to bring us pleasure. Many dog owners prefer to look at dog pictures on social media; but they do not understand how to create funny dog photos. Actually, it is not as difficult as you thought. In this post, we will show you how to make funny dog photos on Windows, Mac and online. What a funny dog photo should be? When we talk about funny dog photos, you may wonder what a funny dog picture should look like. We collect several interesting dog pictures below. You can get some ideas from these pictures. As you can see, the caption is one of the easiest ways to make a dog photo funny. And we suggest you to start from creating humorous dog pictures with interesting description and caption. Social networks, such as Facebook, Instagram and more, allow users to post images in commonly used formats. So you will need a photo editor that has the capacity to convert photos and add caption. From this point, we recommend WidsMob Photo Converter. It could simplify the process of funny dog photos editing. WidsMob Photo Converter is desktop program, so you need to install it on your computer. Then launch the software and click on the Import button to load your dog images from hard drive. When the property dialog prompts, choose JPEG or PNG from the drop-down list of Format and decide the Quality. Once hit Open button, these dog photos will be converted to social media supported format. Tab the Watermark on right side of the main interface to go to the caption design window. Choose Text from the drop-down list and then pick up the words in the field of Text. Then you can customize Font, Style, Size and other parameters. Finally, click on Export button at bottom right corner and then hit Share button to post it to Facebook or other social networks. Paint.Net is a free photo editor for Windows PCs. Though Microsoft has stopped supporting the software, developer continues to update. Paint.Net is based on .NET Framework, so you have to install the programming language on your Windows PC. Paint.Net is flexible funny dog photo editor due to various plug-ins. Download Dpy plugin from the Paint.Net forum and add it to your photo editor. Run the software and locate to File-> Open to load the picture you want to make as funny dog photo from local hard drive. Tip: Dpy is a stylish caption plugin for Paint.Net. Unfold Effects menu and open the Speech bubble dialog. Hit the F8 key to open colors palette and decide colors of Primary and Secondary. Primary is the color of text and Secondary is the background color of the bubble. Then choose a shape from the drop-down list of Shape and move the sliders of Width and Height of the bubble to design a bubble for the caption. Pick up some humorous words based on your dog photo in the Text field. The parameters of Font, Size and more are available to make the text unique. Choose a location from the Direction list to set the position of the caption as you wish. When it is done, click on the OK button on the Speech bubble dialog to confirm it. Finally, unfold the File menu and Save the result to local hard drive. Compared to desktop software, online photo editors are more portable and convenient, especially to multi-device customers. People are familiar with Adobe Photoshop, which is the most popular photo application. Now, we can use the online version, Adobe Photoshop Express Editor. It offers basic funny dog photo editing feature for free. Step 1: Visit photoshop.com/tools in your browser and click on Start the Editor link to open Photoshop Express Editor. When the pop-up dialog appears, press UPLOAD PHOTO to import your dog picture into the online photo editor. Tip: Photoshop Express Editor only supports JPEG images. Step 2: Go to the Decorate tab on left sidebar. If you want to add text only, you can use the Text tool. 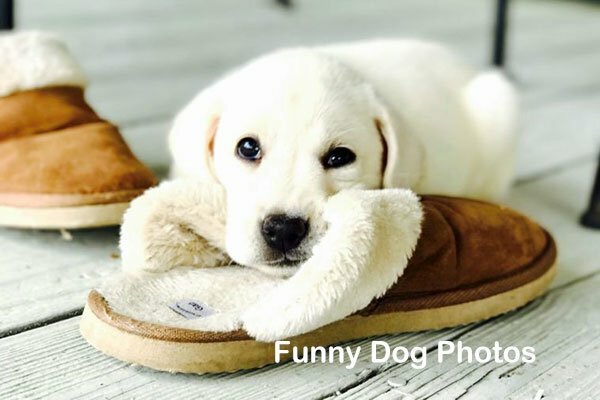 The Bubbles tool could help you add stylish caption on the dog image. We use the Bubbles tool as the example, the Text tool is similar. Choose a bubble style on the prompt dialog and drop what you want to say in the text area. Step 3: Express Editor provides several custom options about the text, including Font, Color, Opacity, Shadow and more. You can try them or Undo at any time. Step 4: In the end, click on Done button and then hit Save to download the funny dog photo to your computer. In this article, we have showed you how to make funny dog photos on Mac, Windows or online. When you took some photos about your close pets, you might want to share them with your friends. But a simple dog picture is not attractive. We suggest you add some words on the picture to make a funny dog photo. Paint.Net is a powerful tool to help you add bubbles and text on pet images. And if you prefer to online photo editors, Photoshop Express Editor is a good choice. When it comes to the best photo editor for funny dog photos, we will recommend WidsMob Photo Converter.